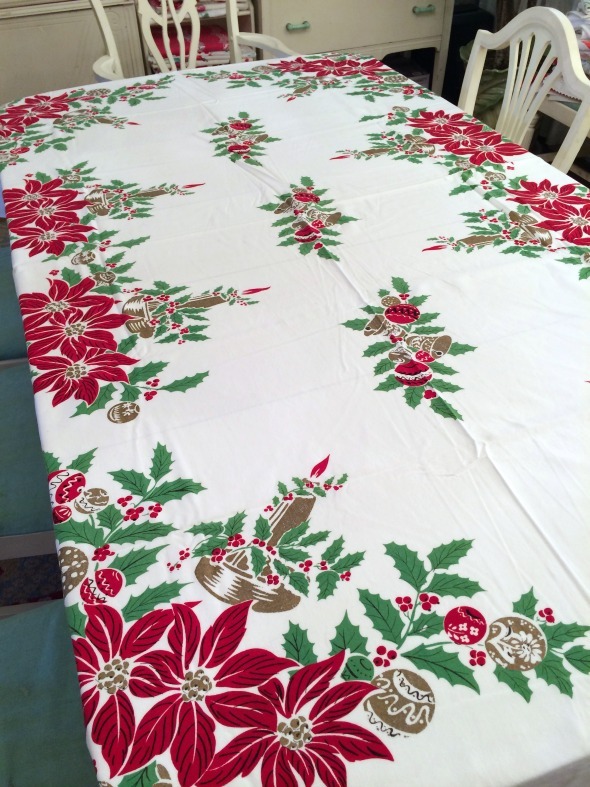 Last night I pulled out a new-to-me Christmas tablecloth and draped it across the dining room table. I’m tempted to use some goofy eBay description like “perfect except for” or “nearly mint”, but it’s neither perfect or mint. The fabric isn’t crisp so it’s been washed at least once in the past, but boy, the gold areas have so much texture they’re almost crunchy. And the show stopping color. And then I realized dinner involved tomato sauce and two small children under the age of seven. 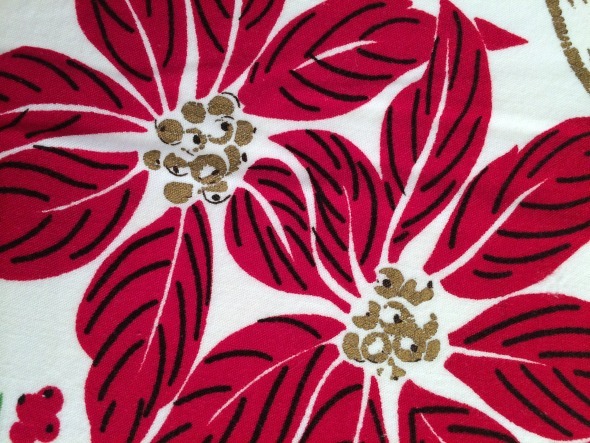 Modern jacquard holly with a newer Fire-King jadeite plate. 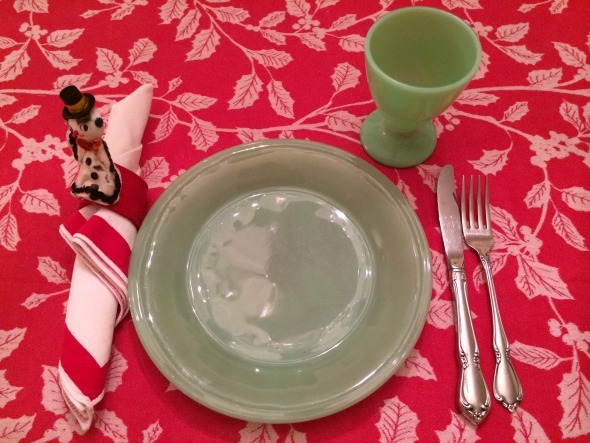 The jadeite McKee tumbler, red-bordered napkin and felt napkin ring are all vintage. And I’m the one that ended up dropping blobs of tomato sauce on the tablecloth! Do you have things that are “too good to use”? 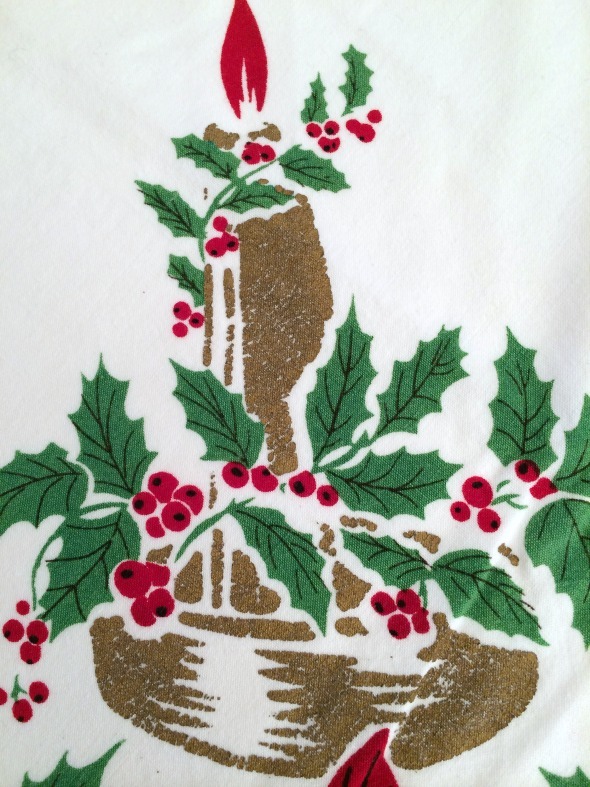 I have a red tablecloth, too, and I use it for holiday dinners when our pasta loving friends can join us. 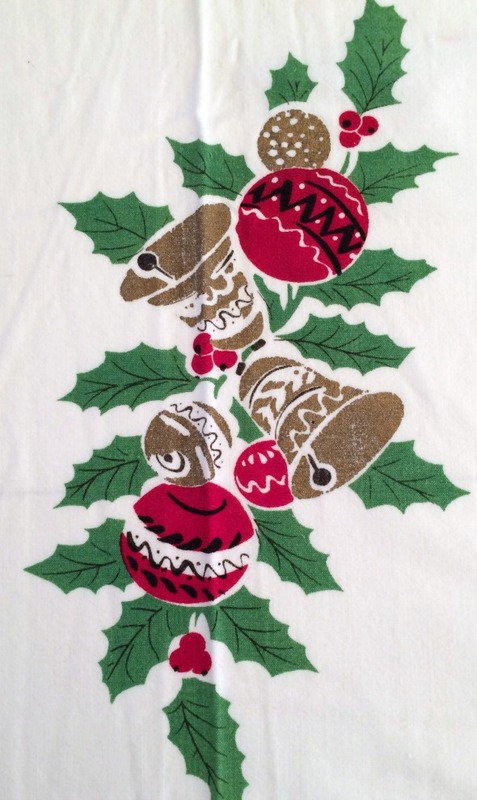 When the food’s not messy, and I trust the ‘eaters’, I might put my mother’s old lace tablecloth over the top…but only when I’m feeling very, very secure! I love your place settings–pretty fun!